Taittinger is one of Champagne’s great houses. It was founded in 1734 by Jacques Fourneaux whose vision grew into the large company it is today. 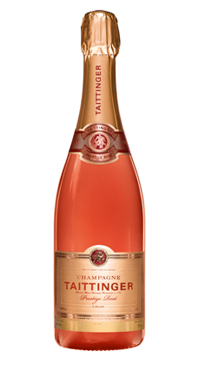 Taittinger Champagne is characterized by its high proportion of Chardonnay in the blend. The house produces a few styles; both non vintage as well as exceptional vintage dated Champagnes. The colour, brilliant pink, is shimmering and intense. The bubbles are fine and the mousse persistent. The nose, satisfyingly intense, is both fresh and young. It gives off aromas of red fruit (freshly crushed wild raspberry, cherry and blackcurrant). On the palate, this is a velvety wine of fine balance, and body – a subtle wine with flavours of fresh fruit.